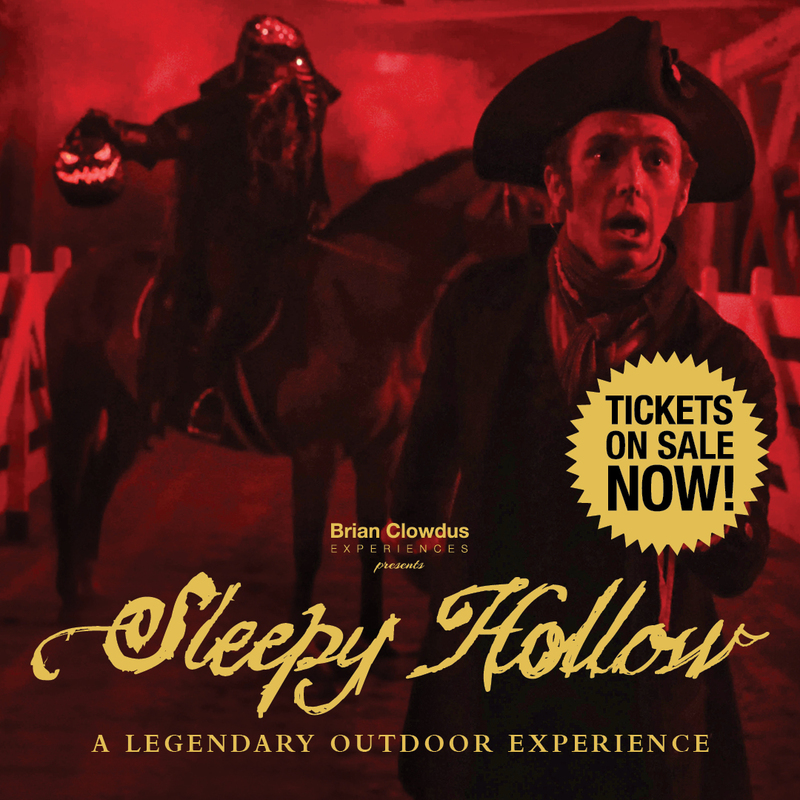 After more than 60 sold out shows in 2016 and 2017, Old Sturbridge Village once again joins with producer/director Brian Clowdus to bring The Sleepy Hollow Experience to the Village. Recognized as one of the countrys top five Halloween plays by American Theatre Magazine, The Sleepy Hollow Experience is an immersive, outdoor theatrical experience that reimagines Washington Irvings iconic 1820s tale. At The Sleepy Hollow Experience, guests will be ghoulishly guided through the Villages countryside where they will encounter Ichabod Crane, Katrina Van Tassel, Brom Bones and quite possibly the Headless Horseman. Please note that each outdoor performance is approximately 1.5 hours long, and requires standing and walking. Performances are rain or shine. If the evening is a rainout, a modified version of The Sleepy Hollow Experience will take place in Old Sturbridge Villages Stephen M. Brewer Theater. One and a half hours before show time, guests can enjoy hot soups and chowder, snacks and sweets. When you purchase your show tickets, you have the opportunity to pre-purchase a hearty soup/chowder meal for an additional $8. Shows run Wednesday - Sunday with shows beginning at 7:30 on Wednesdays and 7:30 and 9:30 Thursday - Sunday.